Finding a carpet tar stain removal remedy that works can spare you from spending a fortune replacing your entire floor covering. Fortunately, there are a number of simple solutions to eliminate sticky tar stains from your carpet. One simple solution to removing tar stains from carpet is to saturate a cotton rag with water and dry cleaning solvent, then blot at the affected area. The moisture from the water and dry cleaning solvent should help lift the tar from the carpet fibers; however, if the stain has set in you may have to repeat the process several times before you notice that the stain is fading. Once the tar stain disappears, rinse the carpet with clean, warm water. To do so, dampen a clean rag and gently scrub the area of the carpet where the stain used to be. Another effective tar stain removal technique requires the use of rubbing alcohol. Simply apply a little alcohol to a clean, white cotton rag and gently blot at the tar stain. If the spot is set deep in the carpet pile, then you will have to re-dampen the rag with additional alcohol repeatedly and keep blotting until the stain is removed. While this cleaning method is effective, it is also a bit tricky, as there is a danger in using too much alcohol to treat the stain. Be very careful with how much alcohol you use to saturate your carpet. If rubbing alcohol bleeds through to the carpet backing, it can compromise the latex bond and ultimately damage your carpet. A cleaning method that works to remove tar stains from carpet is dishwashing detergent. Select a liquid soap that does not contain lanolin or bleach and mix about a quarter teaspoon of it with a quarter teaspoon of water. Once the ingredients are combined well, dip a clean cotton rag into the soapy mixture and blot at the tar stain. If the stain is on the surface of the carpet only, then you can gently rub at it, provided you do so in one direction only and you stop once the stain is gone. Once the stain has lifted rinse the affected area with clean water, blot with a dry rag to remove excess moisture and vacuum as usual. WD-40: Simply spray WD-40 on a clean rag and blot at the tar stain. The active ingredients in WD-40 help dissolve tar and allow it transfer to the rag. Mr. Clean: Some homeowners swear by a mixture of Mr. Clean Multi-surface spray and baking soda to remove tar stains from carpets. Just add a few drops of Mr. Clean to the baking soda to create a paste, then apply it to the affected area and gently blot until the stain lifts. Then, rinse the carpet with clean water and vacuum as usual. Folex: The commercial stain remover for carpets is said to do wonders on tar stains. Brake Cleaner: Purchase a can of standard aerosol brake cleaner from an auto parts store and spray it on the stain. Don't spray too much. You only need enough to slightly saturate the tar spot. Next, use a clean cloth to blot at the stain. After a while the tar will soften and you can remove it with the cloth. The best way to eliminate tar stains from carpets is to treat them as soon as possible. The longer you allow tar to sit on carpet, the harder it will be to remove it. Tar stains are some of the most stubborn spots to remove and if left untreated the sticky substance can ruin your flooring. 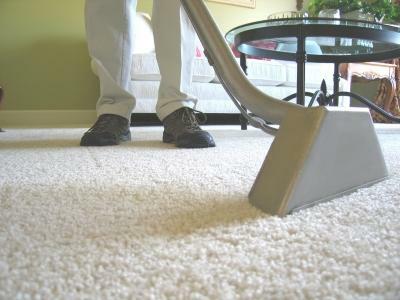 Finally, do not become discouraged if the first carpet cleaning method is unsuccessful. Often it takes several attempts to remove tar from carpet, though with persistence you should be able to eliminate the spot and after vacuuming the affected area no one will be able to tell that a stain existed.